Do you like Sami's dress? I had her come over about an hour before our shoot and I simply "made" her a custom dress with some fabric and safety pins. Voila! 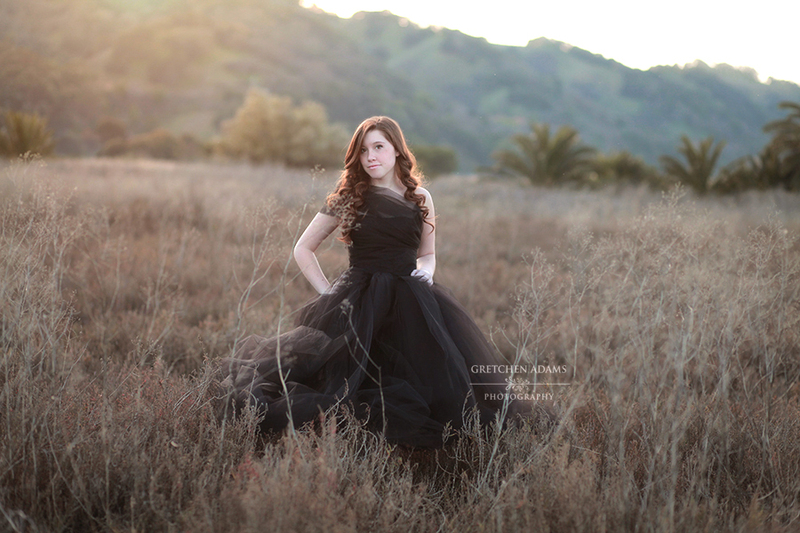 A couture gown made just for her! She actually just had a tank top, bike shorts and Uggs on under all of this. 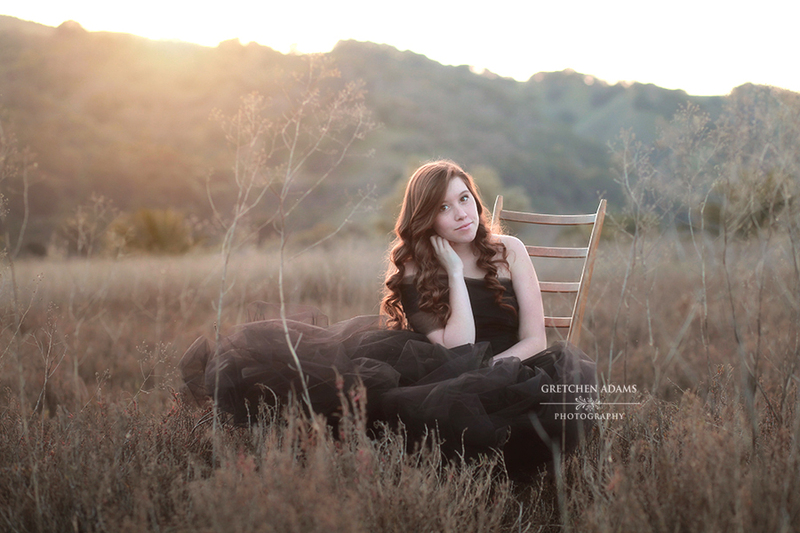 Then we headed out to our evening location and created some beautiful images for her senior portraits. Even though it is nearing the end of January, we had a gorgeous evening with temps around 65 degrees. 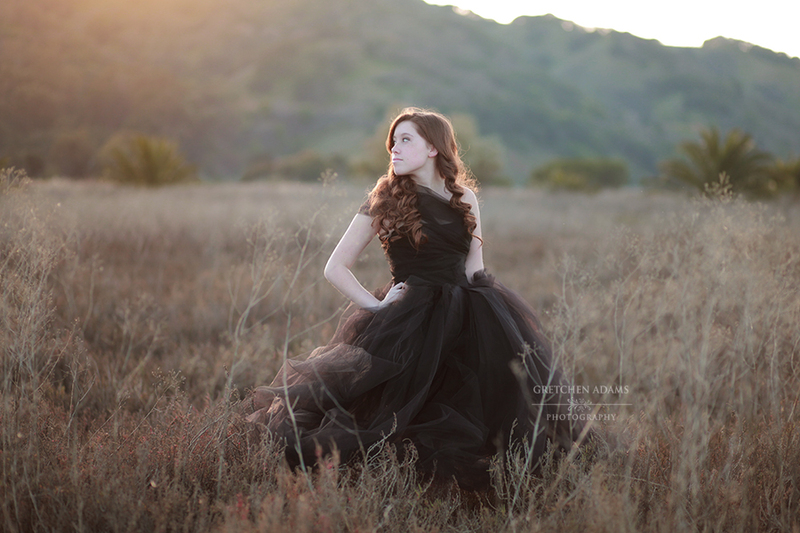 I always time my shoots so that we have perfect lighting and plenty of time to work before the light disappears. I brought along an antique ladder chair to give us additional options for posing since we would just be working in an empty field. I love the classic, elegant, yet simple feel of these images. Truly timeless and gorgeous. Thanks, Sami, for being so easy going and such a wonderfully beautiful subject to photograph, as always!